A resident of Manatee County for more than 45 years, David graduated Manatee High School, Manatee Junior College (aka State College of Florida) and the University of South Florida (Go BULLS!) where he earned a BA in Accounting. Licensed as a CPA in the State of Florida, David has worked for several years with a large local CPA firm where he prepared individual and business returns for a variety of taxpayers, before starting his own tax practice. 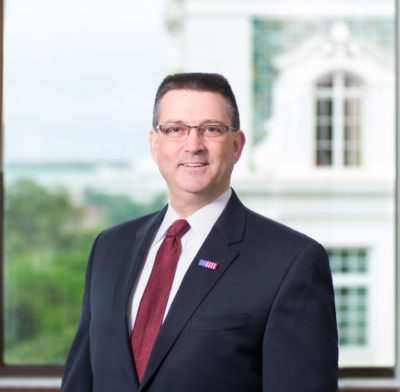 David is a veteran of the US Army, a graduate of Leadership Manatee, treasurer for Manatee Children's Services since 2009, a member of the American Legion, and an active member of the Florida Institute of CPA's. Keeping your books throughout the year can sound like a simple task, but spending a few hours each week can add up to an overwhelming mountain in front of you. According to a recent survey, over 40% of small business owners spend well over 80 hours each year keeping their books organized enough for their CPA to prepare a tax return from. This equates to being out of your business for over 2 - 3 weeks! Does your business run that smoothly? Let us handle the monthly bookkeeping tasks and you run your business, after all, no one will run it like you can! Preparing individual income taxes has become increasingly more difficult over the years. According to statistics released by the U S Government, more than 75% of 71+million American taxpayers believe they have benefited by hiring a professional tax preparer. You have individual needs: whether you are filing a simple form as a student, or you are slightly more seasoned and have investments or income from multiple sources. There are different filing requirements and a wide array of forms and schedules that must be completed and filed in a timely manner. The IRS still has many tax credits available for many different situations. Likewise, there are many possible penalties the IRS will assess based on failure to provide required information and/or trying to take deductions that are not allowed. With multiple years experience working with Form 1040 and the related schedules and attachments, we will maximize your refund while limiting your exposure to changes by the IRS. Let us handle the details while you enjoy your life with family and friends. Business income tax returns may seem relatively simple at first glance, but failure to provide proper reporting to the IRS, or filing those returns late can result in very large and compounding penalties and interest. With penalties as much as $195 per shareholder or partner, per month a return is filed late, these amounts can quickly add up. On top of the forms the IRS requires to be filed, there are also local Tangible Personal Property Returns, and Florida Annual Report filings. If you and/or your business are located outside the State of Florida, there are other implications that may come into play. You have a business to run, and you have become very good at it over the years. Leave the financial reporting and compliance to us. Firstly - remember the IRS will NEVER call you on the telephone nor will they e-mail you. They do NOT do this, PERIOD! The IRS does send letters to correspond with you. They will send you a letter to notify you of changes, to request additional information (otherwise known as an audit or correspondence exam). Any contact with the IRS can be nerve-racking at best. Let us ease the pain and anxiety by handling all of your needs directly with an agent of the IRS. We will provide what they need, when they want it, and answer their questions with only the information they are entitled to. Experienced with many years of successful resolutions and positive outcomes dealing with many IRS and Department of Revenue jurisdictions, no matter too large or small. If you find you have missed a filing requirement, it is best to file, regardless of tax liability that might be due. Filing will at least stop or slow the penalties and interest that will continue to accrue until all filing and payments are current. Let us help bring you into compliance, call today. Sales Tax is another of those necessary evils that incurs large penalties for late or non-filing. Simply provide us with your sales information on a regular basis and we will keep you from getting into trouble.